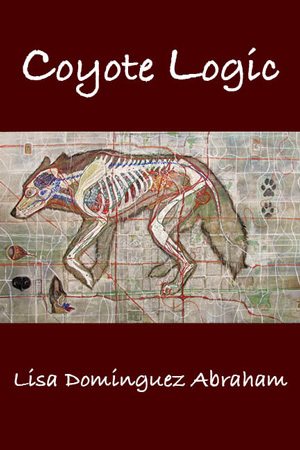 Lisa Dominguez’s Abrahams’ first book-length collection of poems Coyote Logic is a slim volume filled with stories of self-discovery and family, that are a visceral collaboration of feminism, Latinx origins, sensory celebrations, and fairy tale reimagining of our collective human story. These poems track the passage of people, especially women, especially descendants of brown immigrants, and pull at the threads of survival that makes us who we are. Blood Transparencies: An Autobiography in Verse is a brutally honest narrative of coming-of-age in a unique American family. 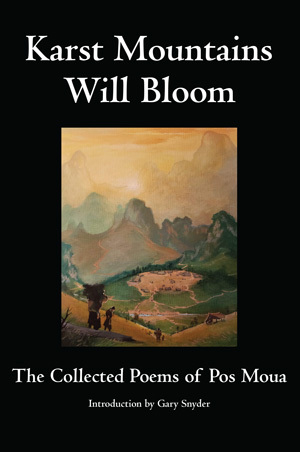 Told in a series of poetic vignettes, it details life with a father who believes John Muir’s words more essential than the Bible, often leading his “tribe” on harsh quests into America’s wildernesses. The tale is both humorous and heart breaking. Imagine Odysseus returned from WWII to teach his son the subtle art of bone breaking before sharing hot cocoa and opera. This is a family as at ease with nurturing abandoned wild animals as around a campfire rapt to ancestral stories of cannibalism. Throughout the book there is an occasional photographic relic, or Neolithic scrawl to memorialize the breadth of this human story. There are echoes here too, like the “transparencies” of the title, of mythology and tall tales, an oral tradition transcendent of the printed page. Blood Transparencies is a stunningly fresh glance back, far back, from whence we’ve all come. Blood Transparencies, an autobiographical poetry collection by Randy White, is an eloquent and poignant look at a life via poetic snapshots. There were several times I had to stop reading; I was so overcome with my own memories that tears of nostalgia blurred my vision. “Counted in Sheep Years,” was a lovely poem, a beautiful commentary on the nature our relationship with one of our earliest domesticates. It starts with a stanza encapsulating millennia, then goes on to detail one family’s interactions with young children growing up with and among the sheep. This, again, reminded me of my own childhood, raised among different domesticates, yet so many of the experiences were similar. I love the verses relating death to the giving of life. Destruction of any kind has the potential to bring new growth, and here is a perfect example. I felt ‘Dante’s Children’ is among the best of the collection. It woke memories in me of visiting my great-grandmother, who was suffering from dementia. Highly recommended. Such phrasing! White is a masterful artist, painting beauty with words. These poems will draw out your own memories, bringing tears of joy, tears of pain, tears of remembrance for history now faded to the past. Other poems explore children’s egotism; the importance of imagination, stories, and family; and how innocence becomes experience. Some especially strong poems describe three seasons of service on a fire crew, a coming-of-age process in which the speaker learns the job, develops camaraderie, dreams of women, and begins to know his profession. White’s fresh images resonate, such as a description of aspen trees carved by generations of Basque shepherds. A handful of family photographs tie in with the title poem’s themes, giving the book another layer of meaning. A volume of well-crafted verses with strong images and good storytelling. 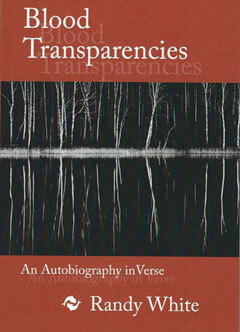 Choosing verse to write his autobiography Blood Transparencies, as opposed to prose, was both interesting and risky. When writing an autobiography in verse, it can be difficult to grasp the concepts and life of this person. This was the case for me. I enjoyed reading individual poems by White, such as “Wearing the Bear,” “Dante’s Children,” and “I Dream of Jeanie”. They formed a visual picture from the author’s past to the mind’s eye. This book is one that really needs to be read in one sitting so that readers can appreciate the story of his life. I found the times I was able to read for longer periods, I enjoyed the book more. Despite having difficulty following this book as a true autobiography, it is obvious that White is a gifted writer. Overall, an intriguing way of writing an autobiography. About How Do I Begin? How Do I Begin? is the struggle to preserve on paper the Hmong American experience. In this anthology, readers will find elaborate soul-calling ceremonies, a woman questioning the seeming tyranny of her parents and future in-laws, the temptation of gangs and drugs, and the shame and embarrassment of being different in a culture that obsessively values homogeneity. Some pieces revisit the ghosts of war. Others lament the loss of a country. Many offer glimpses into intergenerational tensions exacerbated by the differences in Hmong and American culture. Heyday’s How Do I Begin? signifies a turning point for the Hmong community, a group of people who have persevered through war, persecution, and exile. Transcending ethnic and geographic boundaries, it poignantly speaks of survival instead of defeat. 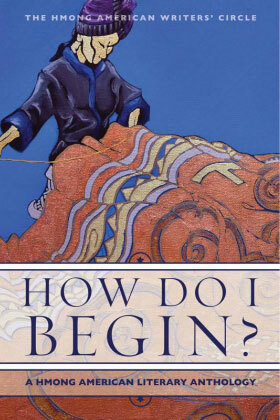 Reviews for How Do I Begin? 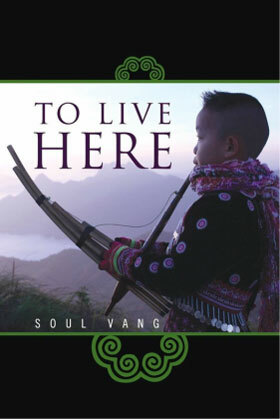 Soul Vang’s To Live Here was the first full length, single author collection of Hmong American poetry. Vang’s poetry is lyrical, sentimental, and full of learning how to live in new cultures while still retaining his heritage. No matter who his brother is, Vang’s work is about finding family. Originally published by Imaginary Friend Press, we at Hyacinth Girl Press are proud to be able to give To Live Here a home in our catalog. Vang’s poetry has touched us deeply, and we look forward to fans of Hyacinth Girl Press becoming acquainted with this important collection. – Brian Turner, author of My Life as a Foreign Country and Here.